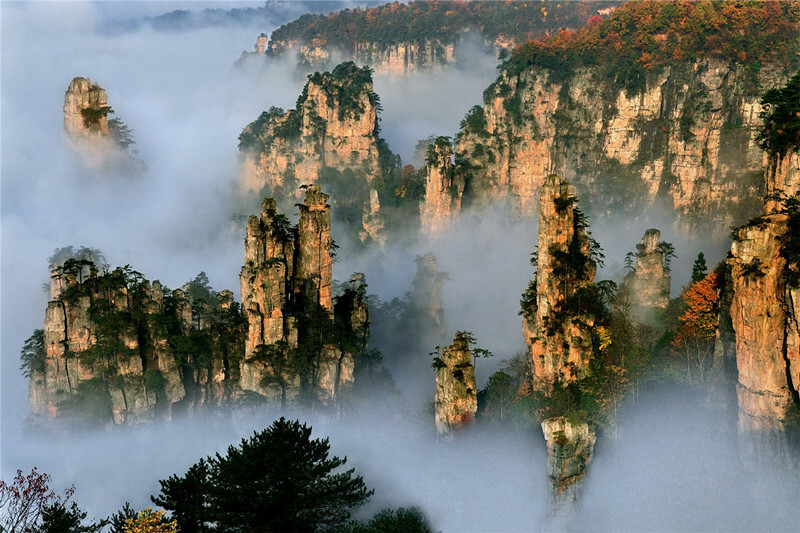 Zhangjiajie has “Three Best in the World”, namely the highest glass bridge, the highest sightseeing elevator, and the longest cable car. This wonderful tour will take us to appreciate the gorgeous background in the famous film “Avatar”, and to experience the unique scenery of different-typed nature you’ve never seen. Enjoy the highlights of Tianzi mountain. Experience the world’s longest and highest Glass Bridge. Take the famous elevator up to Yuanjiajie Mountain and enjoy its unique scenery. After breakfast, we will head to Zhangjiajie National Forest Park to start today’s adventure. Explore beautiful scenery during the ride to Bailong Elevator made of see-through glass before using it to ascend to Yuanjiajie Mountain. 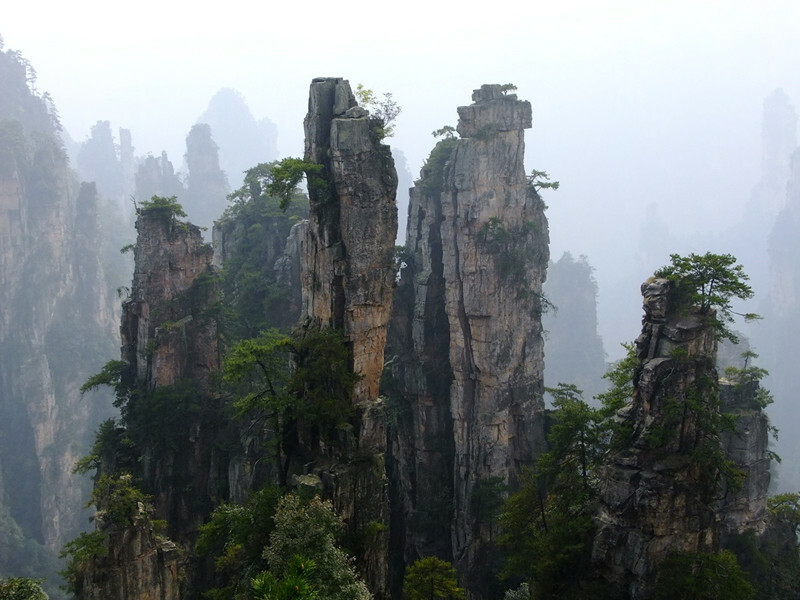 Venture from Yuanjiajie’s summit with a 2.5-hour hike into the Pillar of Southern Sky, an inspiration for Hallelujah Mountains in the movie, Avatar. From there, proceed to the Platform of Forgetfulness to admire nearby peak-views before walking across the First Bridge Under Heaven. Have lunch at the local restaurant. 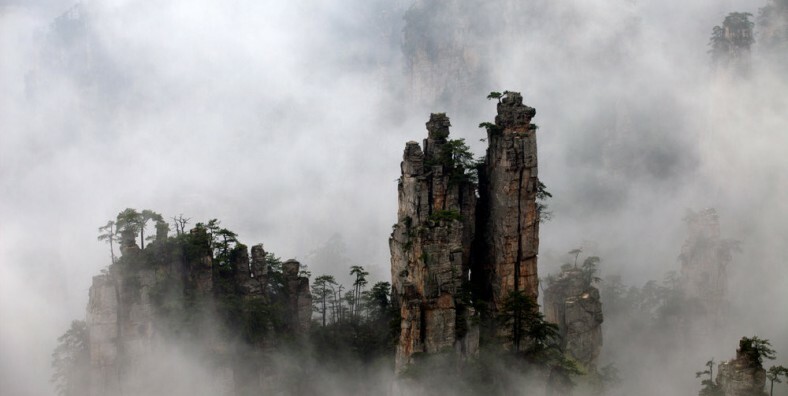 Next, we will take park shuttle bus to visit Tianzi Mountain where Imperial Writing Brush Peaks, Xihai Stone Forest, and other incredible views and scenery await. The activities for the day will conclude a trip by Tianzi cable car before being transferred back to your hotel. Enjoy breakfast at the hotel. We will then drive about 40min to Zhangjiajie Grand Canyon. Walk along the Zhangjiajie Grand Canyon Glass Bridge. This bridge is not only the highest, but also the longest glass bridge inthe world. It is not for the faint-hearted. The Glass bridge is built between two mountains of zhangjiajie Grand canyon, which is 375 meters long and 6 meters wide, With a height of 300meters from bottoms. Upon decent, take an elevator to get to the bottom of the valley. Then hike about 2.5 hours through the Canyon and enjoy the beautiful, tranquil sceneries of breath-taking cliffs, lush forests, caves, colourful streams and rivers that surround you. We can also take a boat ride. Afterwards, visit an art gallery of sandstone painting to appreciate a new kind of painting style. After being taken back to Zhangjiajie, explore the city at leisure until being transferred to the airport for your flight.